Little Monkey Apps subitizing provides beginning counters the opportunity to practice and test their subitizing knowledge to quickly recognize small groups of objects without counting. When you look at a die, you don’t need to count the dots. This immediate response is called subitizing. 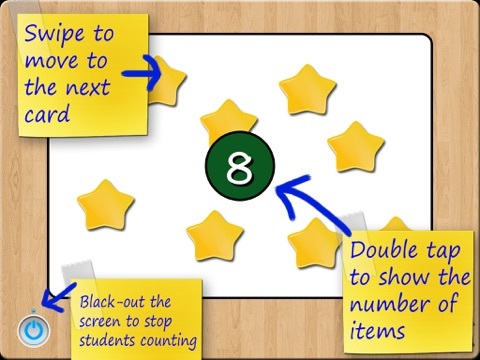 Young students need repetition and practice to do this, as they do not always ‘trust the count’. Students can then build on this knowledge of standard patterns (die patterns) to look at non-standard patterns, mentally and visually manipulating the position of the objects and subitise the objects present. Subitizing provides opportunities for students to ‘trust the count’ which links to early addition and subtraction, counting on and counting back. Subitizing allows students to see and interpret patterns and part-whole relationships such as 2+1+2=5 on a die. 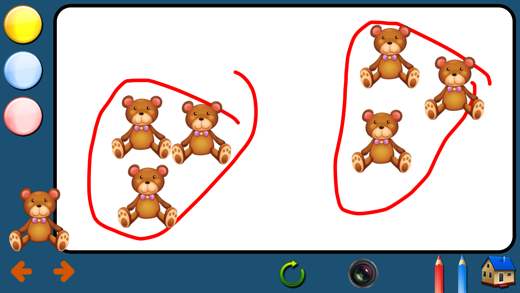 Little Monkey Apps subitizing is designed to be used with an adult, peer work or for independent learning for short periods of time. The App is presented in sections to provide a variety of experiences. Flash cards with non-standard positioning of images up to twelve. Double click screen to show matching numeral. Swipe to move onto next card. 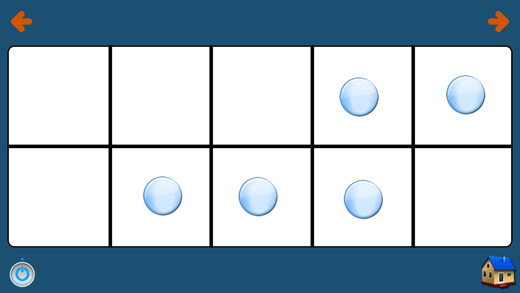 Flash cards with standard presentation of die dots. Swipe to move onto next card. 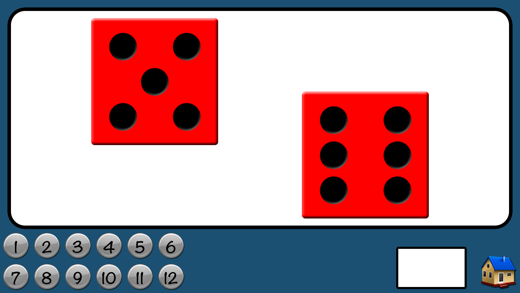 Flash cards with standard presentation of dice dots on two dice. 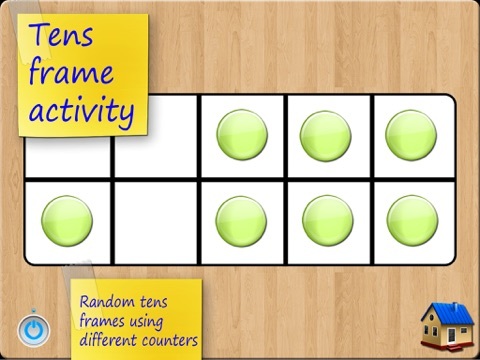 This is useful to extend subitizing into addition facts. Swipe to move onto next card. 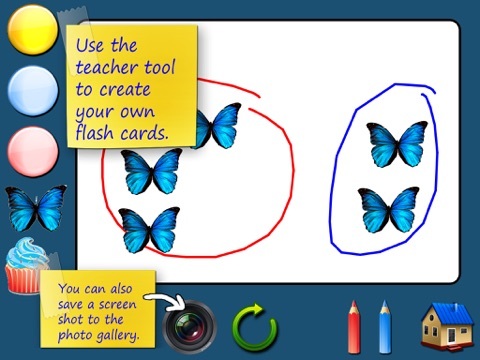 Flashcards with standard and non-standard presentation of dots in a ten frame. 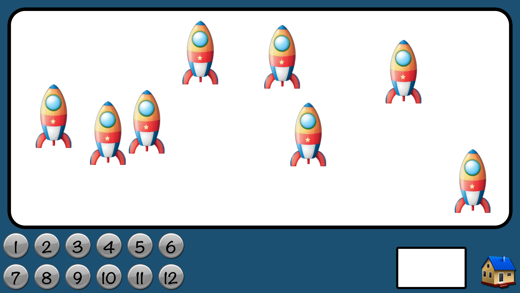 Double click screen to show matching numeral. Swipe to move onto the next card. 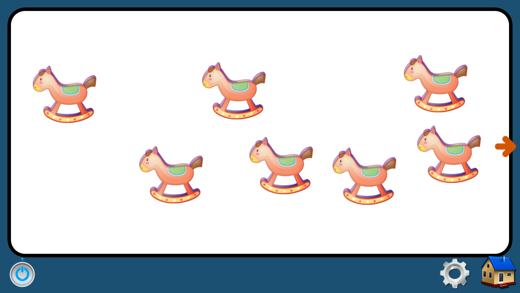 A simple Game in which you are asked to click the numeral to match the group of images presented. 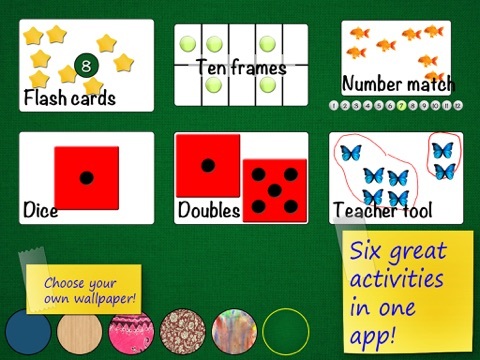 Create your own subitizing card then use the pencil tool to show groups or move the position of objects. 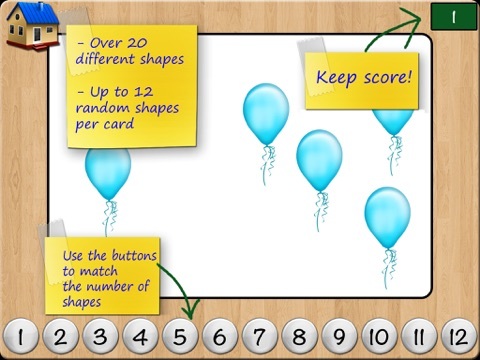 Useful for demonstrating thinking or for demonstrating metacognition skills.